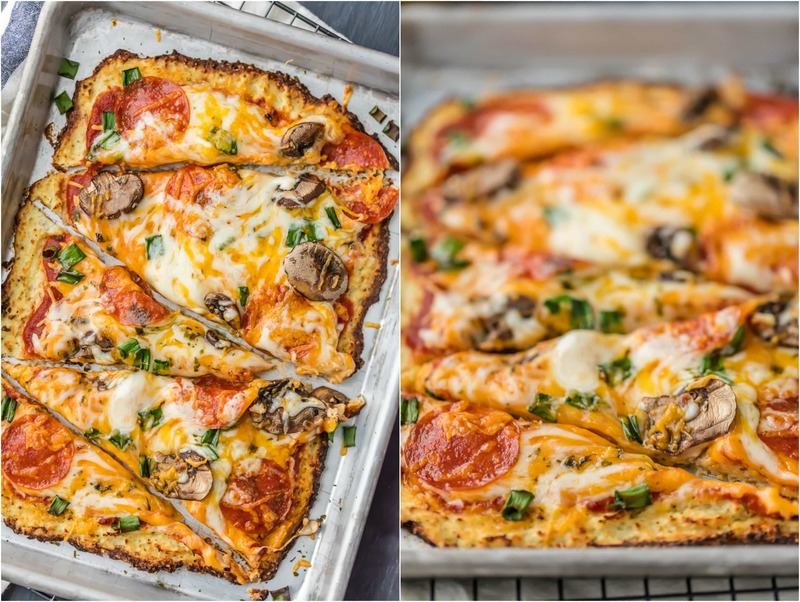 Cauliflower Pizza Crust is an easy way to turn any pizza into a healthy pizza! This low carb cauliflower pizza crust recipe is delicious and EASY to make. 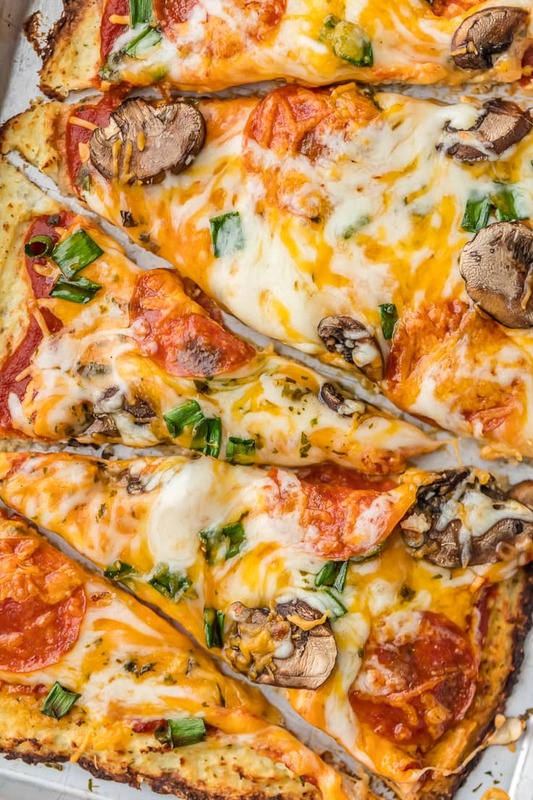 Learn how to make cauliflower pizza crust and use your favorite toppings! Why did it take me so long to try a cauliflower pizza crust recipe? I have been seeing delicious posts about the greatness of low carb cauliflower pizza crust for so long, but never actually tried it. TODAY IS THE DAY!! And verdict is…WE LOVE CAULIFLOWER PIZZA! Yes I loaded it with cheese and toppings…but I’m going to tell myself it’s still healthy. That’s logical…right? Obviously we LOVE pizza in this house, and we were really missing out by not trying the cauliflower crust sooner. CAULIFLOWER CRUST PIZZA FOR THE WIN! It still has crunch, tons of flavor, and is super light on carbs. WIN WIN WIN!! I like it. I was so excited to join in on the Chopped At Home Challenge again presented by Sargento. You might remember when I participated last year. I still dream about that yummy recipe! This year, the flavor challenge was Cauliflower, Mushrooms, and Leeks. And of course CHEESE! Sargento Sharp Cheddar Finely Shredded to be exact. Only the best! It was so fun to dream up a recipe that used all four ingredients. You can see all the entries HERE. What would you have made? 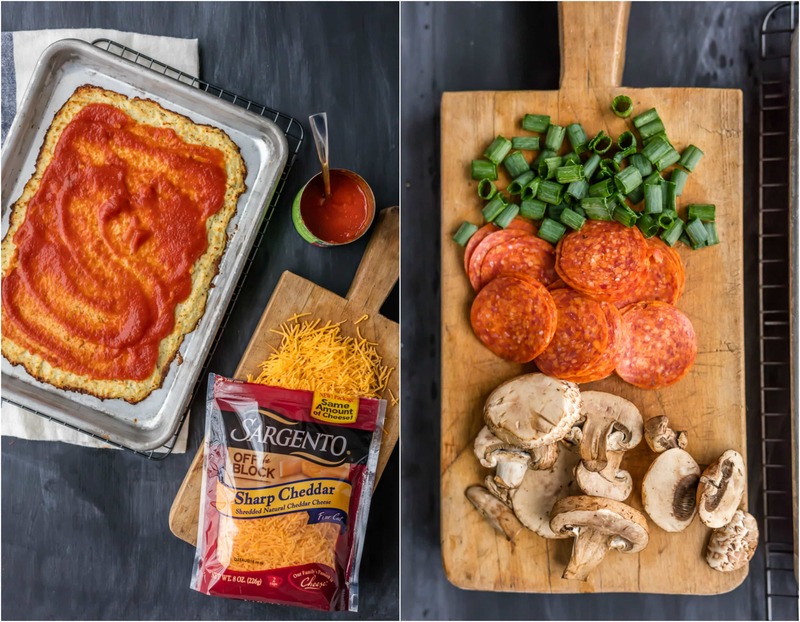 Enjoy this cheesy, low carb cauliflower crust pizza recipe! See the recipe card for details on how to make cauliflower pizza crust. Enjoy! 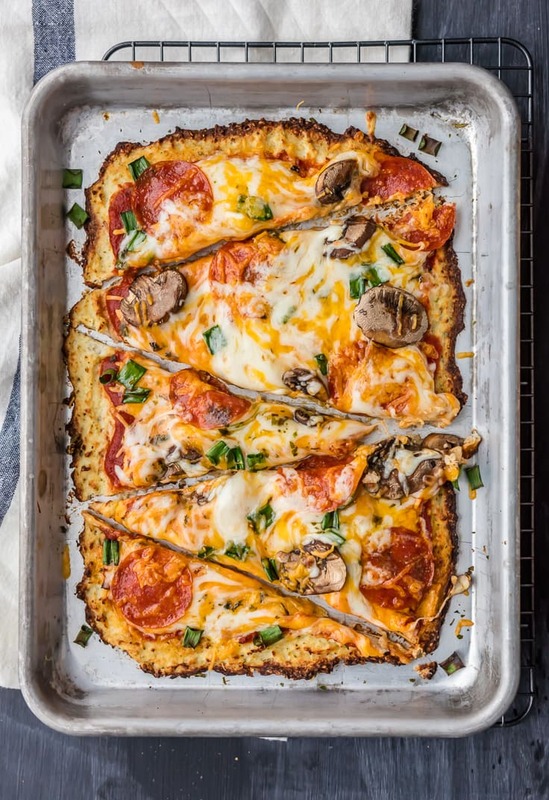 Pepperoni Mushroom Cauliflower Crust Pizza is LOW CARB! This cauliflower crust pizza recipe is delicious and EASY. A healthy pizza that's full of flavor! 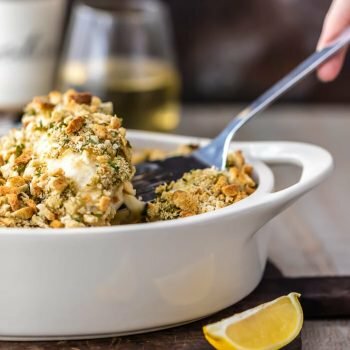 Place the cauliflower in a microwave safe bowl and add a splash of water. Cover. Microwave for 3 minutes or until tender. Allow to cool. Place cauliflower in a high powered blender or food processor and pulse until fully chopped and in tiny pieces. It will almost be grated. Add the egg, 1 1/4 cups mozzarella cheese, parmesan cheese, garlic salt, pepper, red pepper flakes, and basil. Stir to combine all of the ingredients. Pour the cauliflower mixture onto the baking sheet and form the shape of crust you want. Pat down to create a flat surface. Lightly spray with cooking spray, then bake for 15-20 minutes or until golden and firm to the touch. Spoon on the sauce, followed by both types of cheeses, leeks, mushrooms, and pepperonis. Bake for other 10 minutes until melty. Swear! I was JUST working on a cauliflower pizza, too!! hahaha Great minds think alike! But your pics are like WHOA! GORGEOUS! I bet yours will be divine!! I saw someone post one right after I had saved this draft and I was like “OF COURSE! !” lol!!! Pictures are worth a thousand words and my first thought was this looks fabulous and delicious. This looks soooo good! 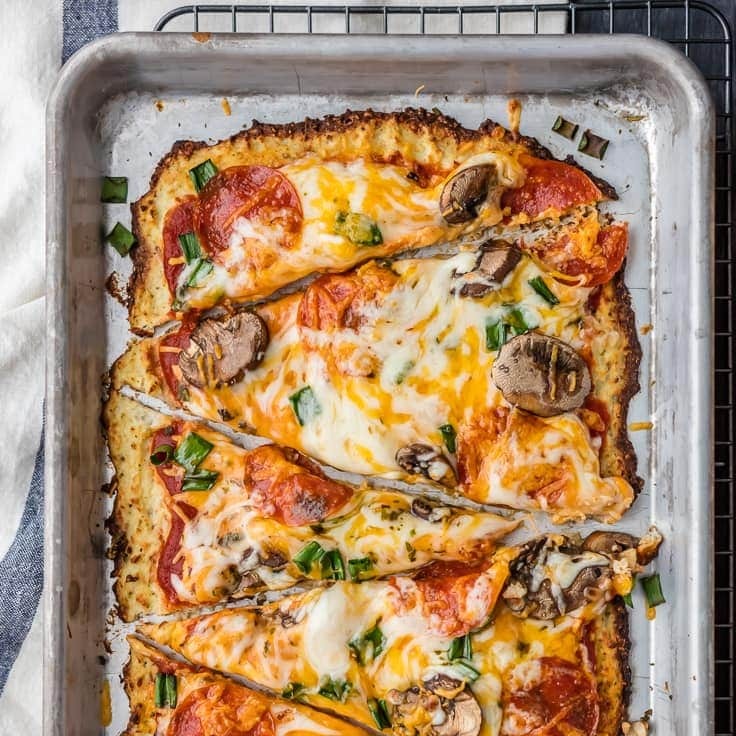 I’ve been wanting to try a cauliflower crust for ages – this pizza looks like a great way to start! Thanks Kimberly! Hope you love it! This actually makes me want to eat healthier! It looks just as good as any pizza I have seen! Love this cauliflower crust! This pizza looks perfect! I seriously want to dive through my screen and steal a slice and I just ate dinner – delicious, Becky! You are so sweet! Thanks friend! 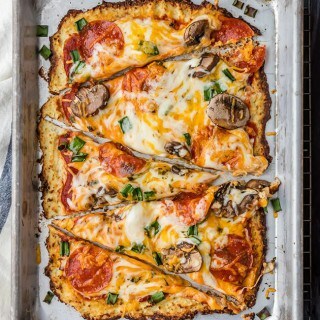 I have always been super skeptical of cauliflower pizza, but now you want me having to try it! This looks amazing! Best cauliflower crust pizza ever! LOVE your take on the challenge! Just finished this…not a crumb left! Question: Can the crust be made ahead and frozen or would it become mushy after thawing? 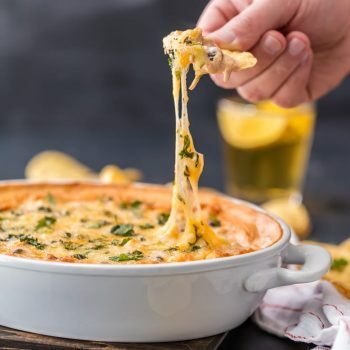 Could I make the night before and add toppings the next day? Thanks for any advice…This was delicious! Yay! So glad you liked it! I’m totally not sure about freezing…although you could prep it and keep it in the fridge premade and I think that would work. Let me know if you try it that way! Hi Becky! This looks so good and I would love to try it. Can you tell what the approx kcarb count would be if I made it just like yours?